This article is about deterrent theories of war and nuclear weapons. For legal theory of justice, see Deterrence (legal). 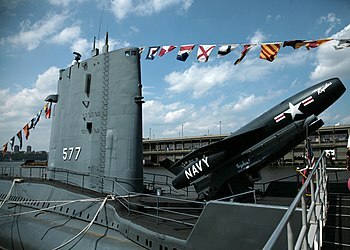 The USS Growler, one of two submarines designed to provide a nuclear deterrence using cruise missiles with a 500 miles (800 km) range—placed on patrol carrying the Regulus I missile (shown at Pier 86 in New York, its home as a museum ship). In Thomas Schelling's (1966) classic work on deterrence, the concept that military strategy can no longer be defined as the science of military victory is presented. Instead, it is argued that military strategy was now equally, if not more, the art of coercion, of intimidation and deterrence. Schelling says the capacity to harm another state is now used as a motivating factor for other states to avoid it and influence another state's behavior. To be coercive or deter another state, violence must be anticipated and avoidable by accommodation. It can therefore be summarized that the use of the power to hurt as bargaining power is the foundation of deterrence theory, and is most successful when it is held in reserve. In 2004 Frank C. Zagare made the case that deterrence theory is logically inconsistent, not empirically accurate, and that it is deficient as a theory. In place of classical deterrence, rational choice scholars have argued for perfect deterrence, which assumes that states may vary in their internal characteristics and especially in the credibility of their threats of retaliation. The risk of accidents, misjudgments or unauthorised launches, they argued, was growing more acute in a world of rivalries between relatively new nuclear states that lacked the security safeguards developed over many years by America and the Soviet Union. The emergence of pariah states, such as North Korea (possibly soon to be joined by Iran), armed with nuclear weapons was adding to the fear as was the declared ambition of terrorists to steal, buy or build a nuclear device. According to The Economist, "Senior European statesmen and women" called for further action in 2010 in addressing problems of nuclear weapons proliferation. They said: "Nuclear deterrence is a far less persuasive strategic response to a world of potential regional nuclear arms races and nuclear terrorism than it was to the cold war". The use of military threats as a means to deter international crises and war has been a central topic of international security research for at least 200 years. Research has predominantly focused on the theory of rational deterrence to analyze the conditions under which conventional deterrence is likely to succeed or fail. Alternative theories however have challenged the rational deterrence theory and have focused on organizational theory and cognitive psychology. The concept of deterrence can be defined as the use of threats by one party to convince another party to refrain from initiating some course of action. A threat serves as a deterrent to the extent that it convinces its target not to carry out the intended action because of the costs and losses that target would incur. In international security, a policy of deterrence generally refers to threats of military retaliation directed by the leaders of one state to the leaders of another in an attempt to prevent the other state from resorting to the threat of use of military force in pursuit of its foreign policy goals. As outlined by Huth, a policy of deterrence can fit into two broad categories being (i) preventing an armed attack against a state's own territory (known as direct deterrence); or (ii) preventing an armed attack against another state (known as extended deterrence). 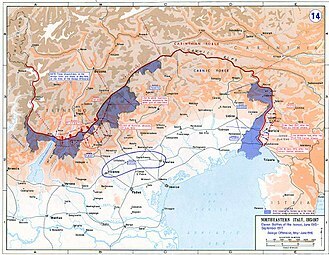 Situations of direct deterrence often occur when there is a territorial dispute between neighboring states in which major powers like the United States do not directly intervene. On the other hand, situations of extended deterrence often occur when a great power becomes involved. It is the latter that has generated the majority of interest in academic literature. Building on these two broad categories, Huth goes on to outline that deterrence policies may be implemented in response to a pressing short-term threat (known as immediate deterrence) or as strategy to prevent a military conflict or short term threat from arising (known as general deterrence). A successful deterrence policy must be considered in not only military terms, but also in political terms; specifically International Relations (IR), foreign policy and diplomacy. In military terms, deterrence success refers to preventing state leaders from issuing military threats and actions that escalate peacetime diplomatic and military cooperation into a crisis or militarized confrontation which threatens armed conflict and possibly war. The prevention of crises of wars however is not the only aim of deterrence. In addition, defending states must be able to resist the political and military demands of a potential attacking nation. If armed conflict is avoided at the price of diplomatic concessions to the maximum demands of the potential attacking nation under the threat of war, then it cannot be claimed that deterrence has succeeded. Furthermore, as Jentleson et al. argue, two key sets of factors for successful deterrence are important being (i) a defending state strategy that firstly balances credible coercion and deft diplomacy consistent with the three criteria of proportionality, reciprocity, and coercive credibility, and secondly minimizes international and domestic constraints; and (ii) the extent of an attacking state's vulnerability as shaped by its domestic political and economic conditions. In broad terms, a state wishing to implement a strategy of deterrence is most likely to succeed if the costs of non-compliance it can impose on, and the benefits of compliance it can offer to, another state are greater than the benefits of noncompliance and the costs of compliance. Deterrence theory holds that nuclear weapons are intended to deter other states from attacking with their nuclear weapons, through the promise of retaliation and possibly mutually assured destruction (MAD). 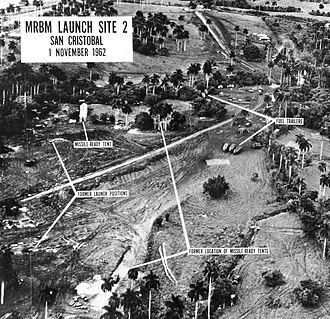 Nuclear deterrence can also be applied to an attack by conventional forces; for example, the doctrine of massive retaliation threatened to launch US nuclear weapons in response to Soviet attacks. A successful nuclear deterrent requires that a country preserve its ability to retaliate, either by responding before its own weapons are destroyed or by ensuring a second strike capability. A nuclear deterrent is sometimes composed of a nuclear triad, as in the case of the nuclear weapons owned by the United States, Russia, the People's Republic of China and India. 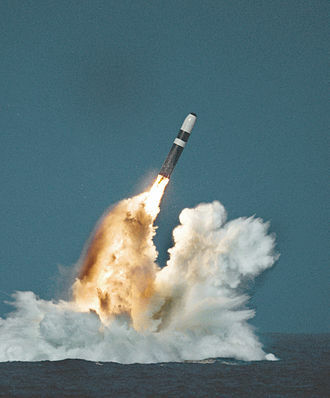 Other countries, such as the United Kingdom and France, have only sea- and air-based nuclear weapons. Jentleson et al. provide further detail in relation to these factors. Firstly, proportionality refers to the relationship between the defending state's scope and nature of the objectives being pursued, and the instruments available for use to pursue this. The more the defending state demands of another state, the higher that state's costs of compliance and the greater need for the defending state's strategy to increase the costs of noncompliance and the benefits of compliance. This is a challenge, as deterrence is, by definition, a strategy of limited means. George (1991) goes on to explain that deterrence may, but is not required to, go beyond threats to the actual use of military force; but if force is actually used, it must be limited and fall short of full-scale use or war otherwise it fails. The main source of disproportionality is an objective that goes beyond policy change to regime change. This has been seen in the cases of Libya, Iraq, and North Korea where defending states have sought to change the leadership of a state in addition to policy changes relating primarily to their nuclear weapons programs. Secondly, Jentleson et al. outline that reciprocity involves an explicit understanding of linkage between the defending state's carrots and the attacking state's concessions. The balance lies neither in offering too little too late or for too much in return, not offering too much too soon or for too little return. Finally, coercive credibility requires that, in addition to calculations about costs and benefits of cooperation, the defending state convincingly conveys to the attacking state that non-cooperation has consequences. Threats, uses of force, and other coercive instruments such as economic sanctions must be sufficiently credible to raise the attacking state's perceived costs of noncompliance. A defending state having a superior military capability or economic strength in itself is not enough to ensure credibility. Indeed, all three elements of a balanced deterrence strategy are more likely to be achieved if other major international actors like the United Nations or NATO are supportive and if opposition within the defending state's domestic politics is limited. The other important consideration outlined by Jentleson et al. that must be taken into consideration is the domestic political and economic conditions within the attacking state affecting its vulnerability to deterrence policies, and the attacking state's ability to compensate unfavourable power balances. The first factor is whether internal political support and regime security are better served by defiance, or if there are domestic political gains to be made from improving relations with the defending state. The second factor is an economic calculation of the costs that military force, sanctions, and other coercive instruments can impose, and the benefits that trade and other economic incentives may carry. This in part is a function of the strength and flexibility of the attacking state's domestic economy and its capacity to absorb or counter the costs being imposed. The third factor is the role of elites and other key domestic political figures within the attacking state. To the extent these actors' interests are threatened with the defending state's demands, they act to prevent or block the defending state's demands. The predominant approach to theorizing about deterrence has entailed the use of rational choice and game-theoretic models of decision making (see game theory). Deterrence theorists have consistently argued that deterrence success is more likely if a defending state's deterrent threat is credible to an attacking state. Huth outlines that a threat is considered credible if the defending state possesses both the military capabilities to inflict substantial costs on an attacking state in an armed conflict, and if the attacking state believes that the defending state is resolved to use its available military forces. Huth goes on to explain the four key factors for consideration under rational deterrence theory being (i) the military balance; (ii) signaling and bargaining power; (iii) reputations for resolve; and (iv) interests at stake. 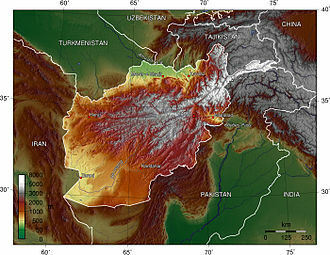 Deterrence is often directed against state leaders who have specific territorial goals that they seek to attain either by seizing disputed territory in a limited military attack or by occupying disputed territory after the decisive defeat of the adversary's armed forces. In either case, the strategic orientation of potential attacking states is generally short term and driven by concerns about military cost and effectiveness. For successful deterrence, defending states need the military capacity to respond quickly and in strength to a range of contingencies. Where deterrence often fails is when either a defending state or an attacking state under or overestimate the others' ability to undertake a particular course of action. The central problem for a state that seeks to communicate a credible deterrent threat through diplomatic or military actions is that all defending states have an incentive to act as if they are determined to resist an attack, in the hope that the attacking state will back away from military conflict with a seemingly resolved adversary. If all defending states have such incentives, then potential attacking states may discount statements made by defending states along with any movement of military forces as merely bluffs. In this regards, rational deterrence theorists have argued that costly signals are required to communicate the credibility of a defending state's resolve. Costly signals are those actions and statements that clearly increase the risk of a military conflict and also increase the costs of backing down from a deterrent threat. States that are bluffing are unwilling to cross a certain threshold of threat and military action for fear of committing themselves to an armed conflict. There are three different arguments that have been developed in relation to the role of reputations in influencing deterrence outcomes. The first argument focuses on a defending state's past behaviour in international disputes and crises, which creates strong beliefs in a potential attacking state about the defending state's expected behaviour in future conflicts. The credibilities of a defending state's policies are arguably linked over time, and reputations for resolve have a powerful causal impact on an attacking state's decision whether to challenge either general or immediate deterrence. The second approach argues that reputations have a limited impact on deterrence outcomes because the credibility of deterrence is heavily determined by the specific configuration of military capabilities, interests at stake, and political constraints faced by a defending state in a given situation of attempted deterrence. The argument of this school of thought is that potential attacking states are not likely to draw strong inferences about a defending states resolve from prior conflicts because potential attacking states do not believe that a defending state's past behaviour is a reliable predictor of future behaviour. The third approach is a middle ground between the first two approaches. It argues that potential attacking states are likely to draw reputational inferences about resolve from the past behaviour of defending states only under certain conditions. The insight is the expectation that decision makers will use only certain types of information when drawing inferences about reputations, and an attacking state updates and revises its beliefs when the unanticipated behaviour of a defending state cannot be explained by case-specific variables. An example both shows that the problem extends to the perception of the third parties as well as main adversaries and underlies the way in which attempts at deterrence can not only fail but backfire if the assumptions about the others' perceptions are incorrect. Although costly signaling and bargaining power are more well established arguments in rational deterrence theory, the interests of defending states are not as well known, and attacking states may look beyond the short term bargaining tactics of a defending state and seek to determine what interests are at stake for the defending state that would justify the risks of a military conflict. The argument here is that defending states that have greater interests at stake in a dispute are more resolved to use force and be more willing to endure military losses to secure those interests. Even less well established arguments are the specific interests that are more salient to state leaders such as military interests versus economic interests. Furthermore, Huth argues that both supporters and critics of rational deterrence theory agree that an unfavourable assessment of the domestic and international status quo by state leaders can undermine or severely test the success of deterrence. In a rational choice approach, if the expected utility of not using force is reduced by a declining status quo position, then deterrence failure is more likely, since the alternative option of using force becomes relatively more attractive. In 1966 Schelling is prescriptive in outlining the impact of the development of nuclear weapons in the analysis of military power and deterrence. In his 1966 analysis, before the widespread use of assured second strike capability, or immediate reprisal, in the form of SSBN submarines, Schelling argues that nuclear weapons give nations the potential to not only destroy their enemies but humanity itself without drawing immediate reprisal because of the lack of a conceivable defense system and the speed with which nuclear weapons can be deployed. A nation's credible threat of such severe damage empowers their deterrence policies and fuels political coercion and military deadlock, which in turn can produce proxy warfare. 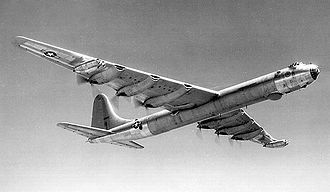 Historical analysis of nuclear weapons deterrent capabilities has led modern researchers to the concept of the stability-instability paradox, whereby nuclear weapons confer large scale stability between nuclear weapon states, as in over 60 years none have engaged in large direct warfare due primarily to nuclear weapons deterrence capabilities, but instead are forced into pursuing political aims by military means in the form of comparatively smaller scale acts of instability, such as proxy wars and minor conflicts. The US policy of deterrence during the Cold War underwent significant variations. The early stages of the Cold War were generally characterized by containment of communism, an aggressive stance on behalf of the US especially on developing nations under its sphere of influence. This period was characterized by numerous proxy wars throughout most of the globe, particularly Africa, Asia, Central America, and South America. 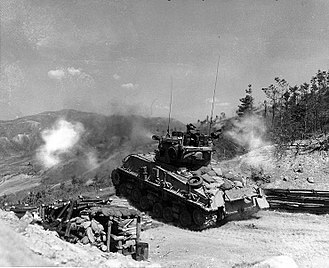 A notable such conflict was the Korean War. George F. Kennan, who is taken to be the founder of this ideology in his Long Telegram, asserted that he never advocated military intervention, merely economic support; and that his ideas were misinterpreted when espoused by the general public. With the U.S. drawdown from Vietnam, the normalization of U.S. relations with China, and the Sino-Soviet Split, the policy of Containment was abandoned and a new policy of détente was established, whereby peaceful coexistence was sought between the United States and the Soviet Union. Although all factors listed above contributed to this shift, the most important factor was probably the rough parity achieved in stockpiling nuclear weapons with the clear capability of Mutual Assured Destruction (MAD). Therefore, the period of détente was characterized by a general reduction in the tension between the Soviet Union and the United States and a thawing of the Cold War, lasting from the late 1960s until the start of the 1980s. The doctrine of mutual nuclear deterrence characterized relations between the United States and the Soviet Union during this period, and relations with Russia until the onset of the New Cold War in the early 2010's. Since then, the relations have been less clear. A third shift occurred with President Ronald Reagan's arms build-up during the 1980s. Reagan attempted to justify this policy in part due to concerns of growing Soviet influence in Latin America and the new republic of Iran, established after the Iranian Revolution of 1979. Similar to the old policy of containment, the United States funded several proxy wars, including support for Saddam Hussein of Iraq during the Iran–Iraq War, support for the mujahideen in Afghanistan, who were fighting for independence from the Soviet Union, and several anti-communist movements in Latin America such as the overthrow of the Sandinista government in Nicaragua. 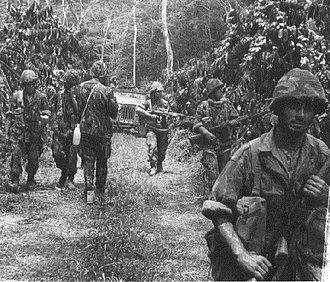 The funding of the Contras in Nicaragua led to the Iran-Contra Affair, while overt support led to a ruling from the International Court of Justice against the United States in Nicaragua v. United States. While the army was dealing with the breakup of the Soviet Union and the spread of nuclear technology to other nations beyond the United States and Russia, the concept of deterrence took on a broader multinational dimension. The U.S. policy on post–Cold War deterrence was outlined in 1995 in a document called "Essentials of Post–Cold War Deterrence". This document explains that while relations with Russia continue to follow the traditional characteristics of Mutual Nuclear Deterrence, due to both nations continuing MAD, U.S. policy of deterrence towards nations with minor nuclear capabilities should ensure through threats of immense retaliation (or even preemptive action) that they do not threaten the United States, its interests, or allies. The document explains that such threats must also be used to ensure that nations without nuclear technology refrain from developing nuclear weapons and that a universal ban precludes any nation from maintaining chemical or biological weapons. The current tensions with Iran and North Korea over their nuclear programs are due in part to the continuation of this policy of deterrence. Deterrence theory is criticized for its assumptions about opponent rationales. First, it is argued that suicidal or psychotic opponents may not be deterred by either forms of deterrence. Second, if two enemy states both possess nuclear weapons, Country X may try to gain a first-strike advantage by suddenly launching weapons at Country Y, with a view to destroying its enemy's nuclear launch silos thereby rendering Country Y incapable of a response. Third, diplomatic misunderstandings and/or opposing political ideologies may lead to escalating mutual perceptions of threat, and a subsequent arms race that elevates the risk of actual war, a scenario illustrated in the movies WarGames (1983) and Dr. Strangelove (1964). An arms race is inefficient in its optimal output, as all countries involved expend resources on armaments that would not have been created if the others had not expended resources, a form of positive feedback. Fourth, escalation of perceived threat can make it easier for certain measures to be inflicted on a population by its government, such as restrictions on civil liberties, the creation of a military–industrial complex, and military expenditures resulting in higher taxes and increasing budget deficits. In recent years, many mainstream politicians, academic analysts, and retired military leaders have also criticized deterrence and advocated nuclear disarmament. Sam Nunn, William Perry, Henry Kissinger, and George Shultz have all called upon governments to embrace the vision of a world free of nuclear weapons, and in three Wall Street Journal op-eds proposed an ambitious program of urgent steps to that end. The four have created the Nuclear Security Project to advance this agenda. Organisations such as Global Zero, an international non-partisan group of 300 world leaders dedicated to achieving nuclear disarmament, have also been established. In 2010, the four were featured in a documentary film entitled Nuclear Tipping Point. The film is a visual and historical depiction of the ideas laid forth in the Wall Street Journal op-eds and reinforces their commitment to a world without nuclear weapons and the steps that can be taken to reach that goal. Former Secretary Kissinger puts the new danger, which cannot be addressed by deterrence, this way: "The classical notion of deterrence was that there was some consequences before which aggressors and evildoers would recoil. 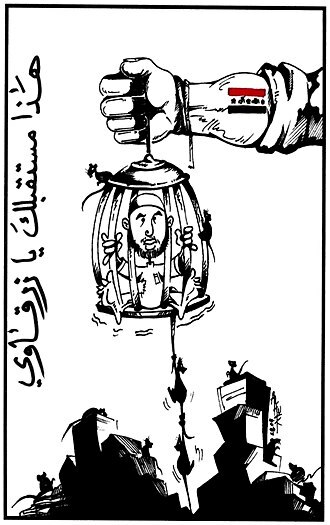 In a world of suicide bombers, that calculation doesn't operate in any comparable way." Shultz has said, "If you think of the people who are doing suicide attacks, and people like that get a nuclear weapon, they are almost by definition not deterrable". 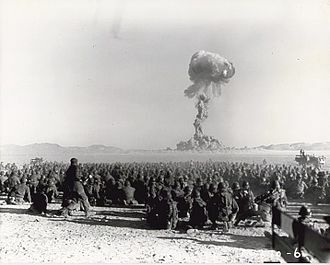 As opposed to the extreme mutually assured destruction form of deterrence, the concept of minimum deterrence in which a state possesses no more nuclear weapons than is necessary to deter an adversary from attacking is presently the most common form of deterrence practiced by nuclear weapon states, such as China, India, Pakistan, Britain, and France. Pursuing minimal deterrence during arms negotiations between United States and Russia allows each state to make nuclear stockpile reductions without the state becoming vulnerable, however it has been noted that there comes a point where further reductions may be undesirable, once minimal deterrence is reached, as further reductions beyond this point increase a state's vulnerability and provide an incentive for an adversary to secretly expand its nuclear arsenal. "Senior European statesmen and women" called for further action in addressing problems of nuclear weapons proliferation in 2010. They said: "Nuclear deterrence is a far less persuasive strategic response to a world of potential regional nuclear arms races and nuclear terrorism than it was to the cold war". ^ Definition of deterrence from the Dictionary of Modern Strategy and Tactics by Michael Keane: "The prevention or inhibition of action brought about by fear of the consequences. Deterrence is a state of mind brought about by the existence of a credible threat of unacceptable counteraction. It assumes and requires rational decision makers." ^ a b "Nuclear endgame: The growing appeal of zero". The Economist. June 16, 2011. ^ Jervis, Robert (1982). "Deterrence and Perception". International Security. 7 (3): 3–30. doi:10.2307/2538549. JSTOR 2538549. ^ "The Nautilus Institute Nuclear Strategy Project: US FOIA Documents". Archived from the original on December 8, 2008. ^ Towle, Philip (2000). "Cold War". In Charles Townshend. The Oxford History of Modern War. New York, US: Oxford University Press. p. 164. ISBN 978-0-19-285373-8. ^ Maclin, Beth (2008-10-20) "A Nuclear weapon-free world is possible, Nunn says", Belfer Center, Harvard University. Retrieved on 2008-10-21. ^ "The Growing Appeal of Zero". The Economist. June 18, 2011. p. 66. ^ Ben Goddard (2010-01-27). "Cold Warriors say no nukes". The Hill. ^ Hugh Gusterson (30 March 2012). "The new abolitionists". Bulletin of the Atomic Scientists. ^ Kristensen, Hans M, Robert S Norris, and Ivan Oelrich. "From Counterforce to Minimal Deterrence: A New Nuclear Policy on the Path Toward Eliminating Nuclear Weapons." Federation of American Scientists. April 2009. Accessed July 31, 2010. ^ Nalebuff, Barry. "Minimal Nuclear Deterrence." Journal of Conflict Resolution 32, no. 3 (September 1988): pg 424. "U.S. Department of Defense's Deterrence Operations Joint Operating Concept" (Word). Retrieved 2011-10-11. Schultz, George P. and Goodby, James E. The War that Must Never be Fought, Hoover Press, ISBN 978-0-8179-1845-3, 2015. Freedman, Lawrence. 2004. Deterrence. New York: Polity Press. Jervis, Robert, Richard N. Lebow and Janice G. Stein. 1985. Psychology and Deterrence. Baltimore: Johns Hopkins University Press. 270 pp. Morgan, Patrick. 2003. Deterrence Now. New York: Cambridge University Press. T.V. Paul, Patrick M. Morgan, James J. Wirtz, Complex Deterrence: Strategy In the Global Age (University of Chicago Press, 2009) ISBN 978-0-226-65002-9. Garcia Covarrubias, Jaime. "The Significance of Conventional Deterrence in Latin America", March–April 2004. Waltz, Kenneth N. "Nuclear Myths and Political Realities". The American Political Science Review. Vol. 84, No. 3 (Sep, 1990), pp. 731–746. Nuclear Deterrence Theory and Nuclear Deterrence Myth, streaming video of a lecture by Professor John Vasquez, Program in Arms Control, Disarmament, and International Security (ACDIS), University of Illinois, September 17, 2009. The Universal Formula for Successful Deterrence by Charles Sutherland, 2007. A predictive tool for deterrence strategies. Will the Eagle strangle the Dragon?, Analysis of how the Chinese nuclear deterrence is altered by the U.S. BMD system, Trends East Asia, No. 20, February 2008. The era featured mass-conscripted armies, rapid transportation and wireless communications, and the concept of total war. One of the features of industrial warfare is the concept of total war. 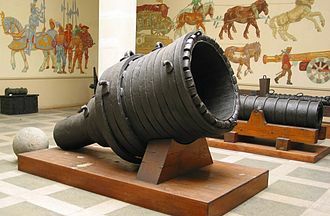 There are several reasons for the rise of total warfare in the 19th century, as countries capital and natural resources grew, it became clear that some forms of warfare demanded more resources than others. Consequently, the greater cost of warfare became evident, an industrialized nation could distinguish and choose the intensity of warfare that it wished to engage in. Additionally, warfare was becoming more mechanized and required greater infrastructure, combatants could no longer live off the land, but required an extensive support network of people behind the lines to keep them fed and armed. This required the mobilization of the home front, modern concepts like propaganda were first used to boost production and maintain morale, while rationing took place to provide more war materiel. The earliest modern example of war was the American Civil War. They believed that to break the backbone of the South, the North had to employ scorched earth tactics, or as Sherman called it, Shermans advance through Georgia and the Carolinas was characterized by widespread destruction of civilian supplies and infrastructure. In contrast to conflicts, the damage done by Sherman was almost entirely limited to property destruction, in Georgia alone, Sherman claimed he and his men had caused $100,000,000 in damages. Conscription is the enrollment of civilians into military service. 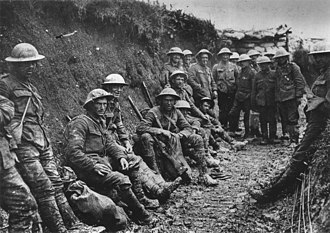 Conscription allowed the French Republic to form La Grande Armée, what Napoleon Bonaparte called the nation in arms, for instance, during World War I, bitter political disputes broke out in Canada, Newfoundland and New Zealand over conscription. Canada had a dispute over conscription during World War II. 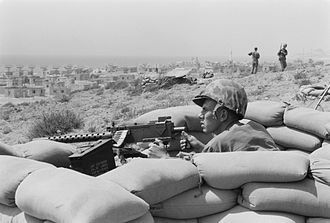 Both South Africa and Australia put limits on where conscripts could fight in WWII, mass protests against conscription to fight the Vietnam War occurred in several countries in the late 1960s. Cold-weather warfare, known as Arctic warfare or winter warfare, encompasses military operations affected by snow, thawing conditions or cold, both on land and at sea. Cold-weather conditions occur year-round at high elevation or at high latitudes, Mountain warfare often takes place in cold weather or on terrain that is affected by ice and snow, such as the Alps and the Himalayas. Historically, most such operations have been during winter in the Northern Hemisphere, some have occurred above the Arctic Circle where snow and cold may occur throughout the year. At times, cold or its aftermath—thaw—has been a factor in the failure of a campaign, as with Napoleons invasion of Russia in 1812. 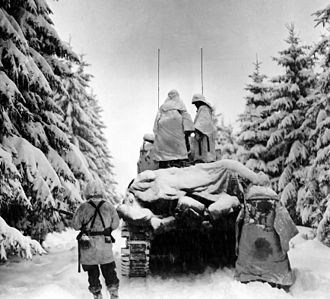 Northern and Eastern Europe were the venues for some well-documented winter campaigns, during World War II several actions took place above the Arctic Circle. Recent cold-weather conflicts have occurred in the Himalayas, in 1242, the Teutonic Order lost the Battle on the Ice on Lake Peipus to Novgorod. 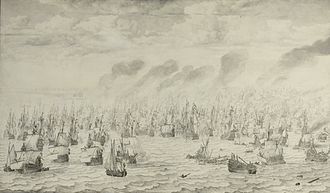 In 1520, the decisive Battle of Bogesund between Sweden and Denmark occurred on the ice of lake Åsunden and Denmark fought several wars during the 16th and 17th centuries. As a great deal of Denmark consists of islands, it was safe from invasion. Charles X Gustav of Sweden led his army across the ice of the Belts to besiege Copenhagen, the war ended with the treaty of Roskilde, a treaty very favorable to the Swedish. 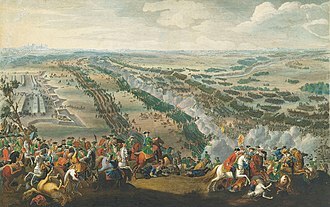 During the Great Northern War, Swedish king Charles XII set off to invade Moscow, Sweden suffered more casualties during the same war as Carl Gustaf Armfeldt with 6,000 men tried to invade Trondheim. Three thousand of them died of exposure in the snow and this daring maneuvre decided the outcome of the war. 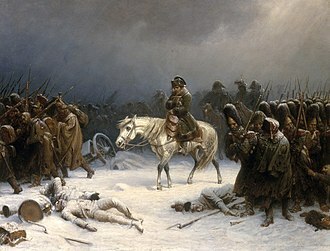 Napoleons invasion of Russia in 1812 resulted in retreat in the face of winter with the majority of the French army succumbing to frostbite and starvation, rather than combat injuries. The Finnish Army used ski troops during the Winter War and the Second World War, in Operation Barbarossa in 1941, both Russian and German soldiers had to endure terrible conditions during the Russian winter. The German-Finnish joint offensive against Murmansk in 1941 saw heavy fighting in the Arctic environment, subsequently the Petsamo-Kirkenes Operation conducted by the Red Army against the Wehrmacht in 1944 in northern Finland and Norway drove the Germans out of there. Containment is a geopolitical strategy to stop the expansion of an enemy. It is best known as the Cold War policy of the United States, a component of the Cold War, this policy was a response to a series of moves by the Soviet Union to increase communist influence in Eastern Europe, Korea and Vietnam. Containment represented a middle-ground position between detente and rollback, the basis of the doctrine was articulated in a 1946 cable by U. S. diplomat George F. Kennan during the post-World War II administration of U. S. President Harry Truman. As a description of U. S. foreign policy, the word originated in a report Kennan submitted to U. S. Defense Secretary James Forrestal in 1947, a report that was used in a magazine article. It is a translation of the French cordon sanitaire, used to describe Western policy toward the Soviet Union in the 1920s, although the term containment was first used for the strategy in the 1940s, there were major historical precedents familiar to Americans and Europeans. In the 1850s anti-slavery forces in the United States developed a containment strategy for stopping the expansion of slavery, following the 1917 communist revolution in Russia, there were calls by Western leaders to isolate the Bolshevik government, which seemed intent on promoting worldwide revolution. In March 1919, French Premier Georges Clemenceau called for a cordon sanitaire, or ring of non-communist states, translating this phrase, U. S. President Woodrow Wilson called for a quarantine. Both phrases compare communism to a contagious disease, the U. S. initially refused to recognize the Soviet Union, but President Franklin D. Roosevelt reversed the policy in 1933, hoping to expand American export markets. 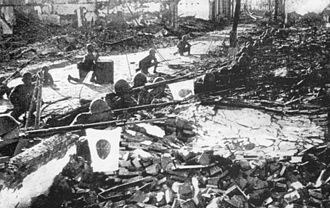 The Munich Agreement of 1938 was an attempt to contain Nazi expansion in Europe, the U. S. tried to contain Japanese expansion in Asia in 1937-41, and Japan reacted with its attack on Pearl Harbor. 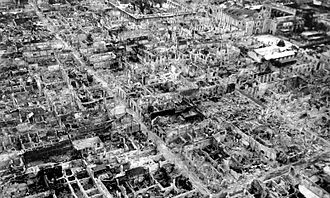 After Germany invaded the USSR in 1941 during World War II, the U. S. the policy was rollback, to defeat Germany and Japan. Key State Department personnel grew increasingly frustrated with and suspicious of the Soviets as the war drew to a close, harriman would have a significant influence in forming Trumans views on the Soviet Union. In February 1946, the U. S. State Department asked George F. Kennan, at the U. S. Embassy in Moscow, why the Russians opposed the creation of the World Bank and the International Monetary Fund. Kennans cable was hailed in the State Department as the appreciation of the situation that had long been needed, six months later, it would probably have sounded redundant. Clark Clifford and George Elsey produced a report elaborating on the Long Telegram and this report, which recommended restraining and confining Soviet influence, was presented to Truman on September 24,1946. In January 1947, Kennan drafted an essay entitled The Sources of Soviet Conduct, Kennan turned against the containment policy and noted several deficiencies in his X Article. He said that by containment he meant not the containment of Soviet Power by military means of a military threat, but the political containment of a political threat. An area denial weapon is a device used to prevent an adversary from occupying or traversing an area of land, sea or air. The specific method used does not have to be effective in preventing passage as long as it is sufficient to severely restrict, slow down. 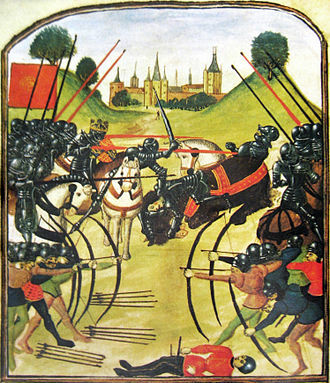 Some area denial weapons pose long-lasting risks to anyone entering the area, specifically to civilians, in medieval warfare and sturdy stakes were buried at the bottom of long lines of ditches, pointed end up diagonally, in order to prevent cavalry charges in a given area. Even if the stakes were spotted, soldiers would be forced to dismount, the correct layout of these extensive lines of ditches and the quality control of stake size and placement was part of the craft of war. A more modern version, allowing quicker dispersal and providing the advantage of being more easily, are caltrops. 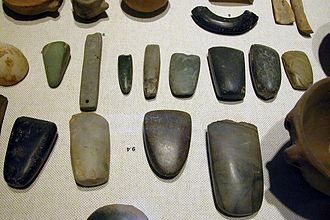 Many variants were used, such as boards with metal hooks. 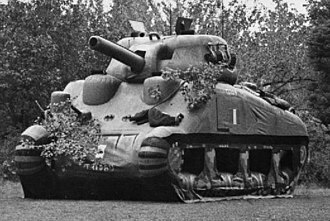 Passive fortification—ditches and obstacles such as teeth and Czech hedgehogs—were used as anti-tank measures during World War II. 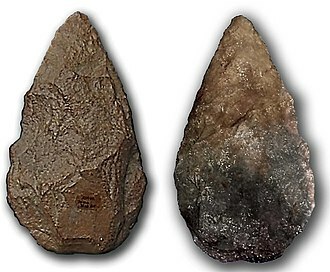 Simple rows or clusters of sharpened sticks, and the use of small caltrops have been a feature of warfare for a long time. Increasing ease of production still did not prevent these methods from slowly falling out of favor from the late Middle Ages onward. Caltrops are still used in modern conflicts, such as during the Korean War. In modern times, special caltrops are used against wheeled vehicles with pneumatic tires. Some South American urban guerrillas as the Tupamaros and Montoneros called them miguelitos, the most common are land mines of various types, planted by hand or dispersed by artillery. Some modern prototypes experiment with guns or artillery-delivered ammunitions that are fired only after remote sensing detects enemies. Booby traps or improvised explosive devices in sufficient concentration qualify as area denial weapons, though they are easier to clear. During an armed conflict there are methods of countering land mines. These include using armoured vehicles to negate the effects of land mines. According to the U. S. Insurgency is the organized use of subversion and violence to seize, nullify or challenge political control of a region. As such, it is primarily a struggle, in which both sides use armed force to create space for their political and influence activities to be effective. Counter-insurgency is normally conducted as a combination of military operations and other means, such as demoralization in the form of propaganda, psy-ops. Counter-insurgency operations include many different facets, paramilitary, economic, psychological, to understand counter-insurgency, one must understand insurgency to comprehend the dynamics of revolutionary warfare. Insurgents capitalize on societal problems, often called gaps, counter-insurgency addresses closing the gaps, when the gaps are wide, they create a sea of discontent, creating the environment in which the insurgent can operate. He defines this distinction as Maoist and post-Maoist insurgency, caldwell wrote, The law of armed conflict requires that, to use force, combatants must distinguish individuals presenting a threat from innocent civilians. This basic principle is accepted by all disciplined militaries, in the counterinsurgency, disciplined application of force is even more critical because our enemies camouflage themselves in the civilian population. 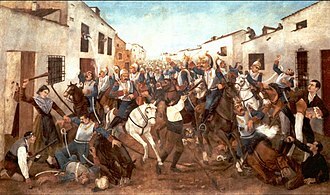 The third Marques of Santa Cruz de Marcenado is probably the earliest author who dealt systematically in his writings with counter-insurgency, Santa Cruz recognized that insurgencies are usually due to real grievances, A state rarely rises up without the fault of its governors. Consequently, he advocated clemency towards the population and good governance, to seek the peoples heart, the majority of counter-insurgency efforts by major powers in the last century have been spectacularly unsuccessful. This may be attributed to a number of causes and he showed as a prime example the French occupation of Spain during the Napoleonic wars. Whenever Spanish forces managed to constitute themselves into a fighting force. 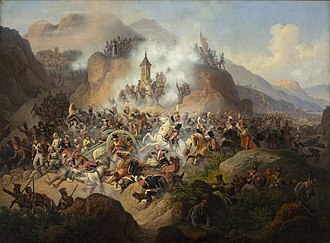 However, once dispersed and decentralized, the nature of the rebel campaigns proved a decisive counter to French superiority on the battlefield. The concept of deep operations was a national strategy, tailored to the economic and geopolitical position of the Soviet Union. In the aftermath of several failures or defeats in the Russo-Japanese War, First World War and Polish–Soviet War and this new approach considered military strategy and tactics, but introduced a new intermediate level of military art, operations. The Soviet Union was one of the first countries to officially distinguish the level of military thinking which occupied the position between strategy and tactics. Using these templates, the Soviets developed the concept of deep battle, Deep operations had two phases, the tactical deep battle, followed by the exploitation of tactical success, known as the conduct of deep battle operations. 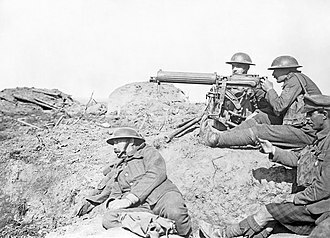 The goal of an operation was to inflict a decisive strategic defeat on the enemys logistical abilities and render the defence of their front more difficult, impossible—or, indeed. Unlike most other doctrines, deep battle stressed combined arms cooperation at all levels, operational, Russian military thinking had changed little over the course of three centuries prior to the 1920s. The Russian Empire had kept pace with its enemies and allies, after the Russian Revolution, the new Bolshevik regime sought to create an entirely new military system that reflected the Bolshevik revolutionary spirit. The new Red Army combined the old and new methods, once this had been achieved, the Soviets turned their attention to solving the problem of military operational mobility. Primary advocates of this development included Alexander Andreyevich Svechin, Mikhail Frunze and they promoted the development of military scientific societies and they identified groups of talented officers. Many of these entered the Soviet Military Academy during Tukhachevskys tenure as its commandant in 1921–1922. 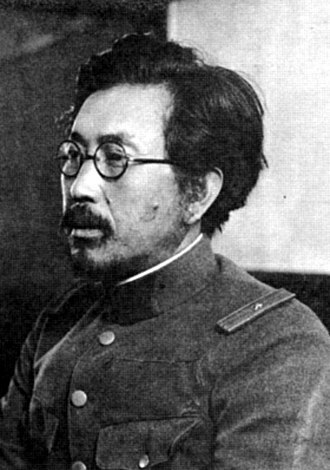 Others came later, including particularly Nikolai Efimovich Varfolomeev and Vladimir Triandafillov, in the aftermath of the wars with Japan and Poland several senior Soviet Commanders called for a unified military doctrine. The most prominent was Mikhail Frunze, the call prompted opposition by Leon Trotsky. On the other hand, Just War Theory explores the moral dimensions of warfare, and to better limit the destructive reality caused by war, seeks to establish a doctrine of military ethics. The discipline of history is dynamic, changing with development as much of the subject area as the societies. An important recent concept is the Revolution in Military Affairs which attempts to explain how warfare has been shaped by emerging technologies and it highlights the short outbursts of rapid change followed by periods of relative stability. In terms of the profession in major countries, military history is an orphan. William H. McNeill points out, This branch of our discipline flourishes in an intellectual ghetto, the study of military history in universities remains seriously underdeveloped. Indeed, lack of interest in and disdain for military history probably constitute one of the strangest prejudices of the profession, historiography is the study of the history and method of the discipline of history or the study of a specialised topic. 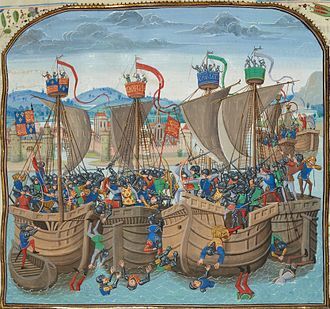 In this case, military history with an eye to gaining an accurate assessment of conflicts using all available sources, Military historians use Historiographical analysis in an effort to allow an unbiased, contemporary view of records. Historians utilize their knowledge of government regulation and military organization, and employing a targeted, despite these limits, wars are some of the most studied and detailed periods of human history. Military historians have often compared organization and strategic ideas, leadership, in the early 1980s, historian Jeffrey Kimball surveyed the ideological preferences of 109 active diplomatic historians in the United States as well as 54 active military historians. He reports that, Of historians in the field of history, 7% are Socialist, 19% are Other, 53% are Liberal, 11% are None. Of military historians, 0% are Socialist, 8% are Other, 35% are Liberal, 18% are None, the documentation of military history begins with the confrontation between Sumer and Elam c.2700 BC near the modern Basra, and includes such enduring records as the Hebrew Bible. Other prominent records in history are the Trojan War in Homers Iliad. 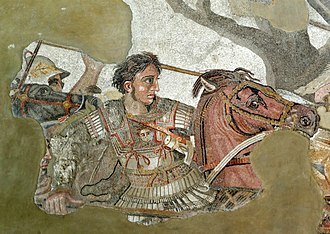 An approach centered on the analysis of a leader was taken by Xenophon in Anabasis, the records of the Roman Julius Caesar enable a comparative approach for campaigns such as Commentarii de Bello Gallico and Commentarii de Bello Civili. New weapons development can dramatically alter the face of war, the cost of warfare, the preparations, a rule of thumb is that if your enemy has a potentially war winning weapon, you have to either match it or neutralize it. 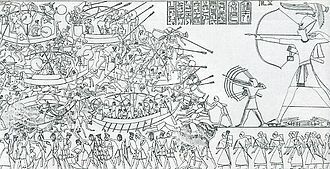 The chariot was an effective, fast weapon, while one man controlled the maneuvering of the chariot and these became crucial to the maintenance of several governments, including the New Egyptian Kingdom and the Shang Dynasty and the nation states of early to mid Zhou dynasty. The infantry started as opposing armed groups of soldiers underneath commanders, the Greeks and early Romans used rigid, heavily armed phalanxes. The Macedonians and Hellenistic states would adopt phalanx formations with sarissa pikemen, the Romans would adopt more flexible maniples from their neighbors which made them extremely successful in the field of battle. 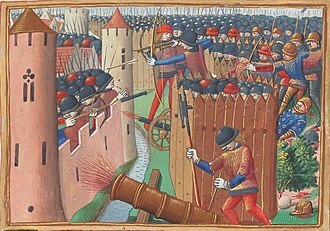 Military tactics are the science and art of organizing a military force, and the techniques for combining and using weapons and military units to engage and defeat an enemy in battle. Changes in philosophy and technology have been reflected in changes to military tactics, in contemporary military science, tactics are the lowest of three planning levels, strategic and tactical. The highest level of planning is strategy, how force is translated into political objectives by bridging the means, the intermediate level, the conversion of strategy into tactics, deals with formations of units. Military tactics answer the questions of how best to deploy and employ forces on a small scale, some practices have not changed since the dawn of warfare, ambushes, turning flanks, reconnaissance and using obstacles and defenses, etc. Using ground to best advantage has not changed much either, rivers, passes, choke points, and natural cover, can all be used in multiple ways. 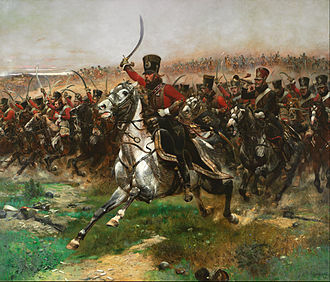 Before the nineteenth century, many tactics were confined to battlefield concerns. United States Information Service poster distributed in Asia depicting Juan dela Cruz ready to defend the Philippines under the threat of communism, 1951. A 1962 nuclear explosion as seen through the periscope of a U.S. Navy submarine. The goal of containment was to 'contain' communism without a nuclear war.